Destination wedding planning calls for a very patient & organized approach. Today, we review some excellent listener questions about planning the destination wedding of your dreams. 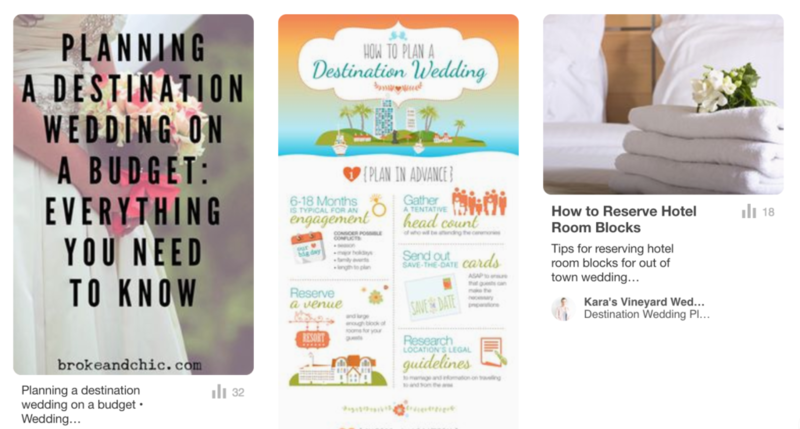 Listen now, or read on for 6 can’t-miss destination wedding planning tips! Hi Kara, I’m recently engaged and my fiancé and I want to plan a small destination wedding at an all-inclusive resort in the Riviera Maya area of Mexico. I’m having a hard time finding solid advice on how to get started with the planning. I have so many questions and am hoping you can point me in the right direction! 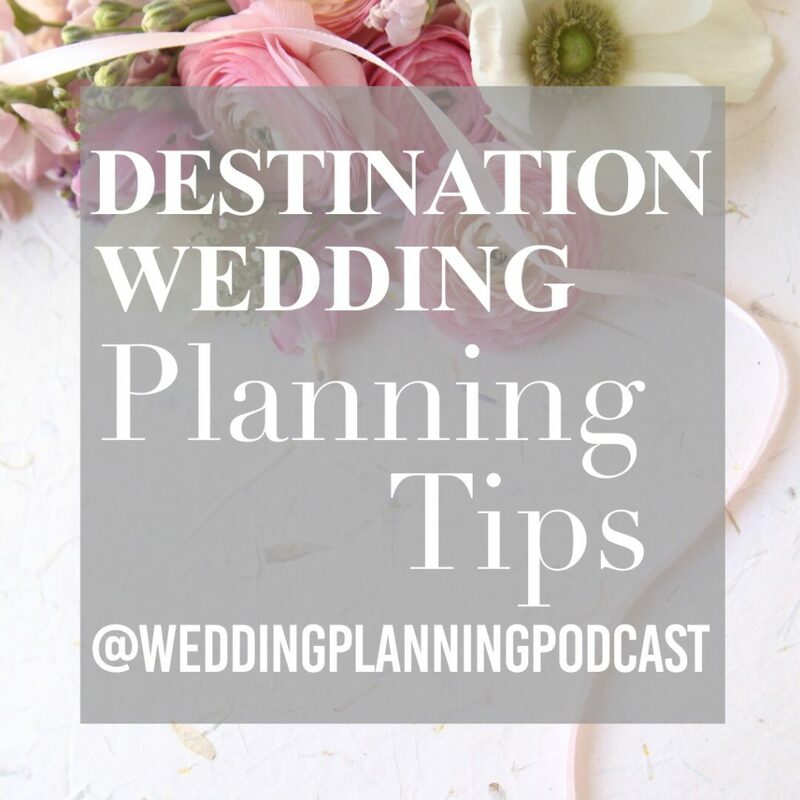 Click image above to listen to the Destination Wedding Planning Tips show! First, how do we select a destination wedding resort without seeing it in person? Selecting a resort without seeing it in person adds a layer of difficulty in the planning process. My best advice? Do a LOT of research into past weddings that have been hosted at the resort. Start with social media & internet searches for reviews and photos. Next, ask the venue to share some detailed testimonials and photos of past couples who have gotten married there. Next question, is it acceptable to contact various resorts and ask for additional photos? Yes, collect as many photos as they can provide! Be in touch directly with wedding photographers who have shot previous weddings there, and ask if they can share some of those photos with you. Photos, reviews & testimonials from past couples who have been married at the resort are going to be your only way to “see” exactly what you’re going to get. A destination wedding resort will be well-prepared to share a wealth of information with you remotely. In today’s world of social media & online travel sites, you should encounter a lot of transparency when doing this type of research. So should we work with a destination wedding planner, or directly with the resort’s onsite coordinator? First, find a resort that checks out with regards to photos & reviews. Next, have a few conversations with the weddings and events manager. If you feel really comfortable and confident with those interactions, then I think it would be easiest to use the venue’s onsite coordinator. Then, after you have chosen a planner who you totally trust, you could ask the planner to recommend their favorite venues in the area. Should we enlist the help of a destination wedding travel agent? Offering your guests the option to use a travel agent is a wonderful idea. This way, if someone doesn’t want to do the independent research and booking, they can call a specific agency to handle all of the details. Call a couple of travel agencies to get an idea of how they would handle a group booking situation, what types of commissions they charge, etc. For those guests who are very travel savvy and can easily book their own travel, I would make that an option as well. If people have flexible travel times, booking on their own could end up being less expensive than booking through an agent. Either way, I think it’s nice to give you guests the option. Can we request customization in destination wedding packages? This will depend on the resort, and should be one of your top questions as you research potential venues. There should always be an option to select some customization, although the degree of flexibility may depend on the location. Any other advice for planning a Mexico destination wedding? Yes! Be sure to indicate on your “Save the Dates” if an international passport will be required for travel. Obtaining a passport can be a lengthy, stressful process. With lots advance notice, guests who aren’t familiar with international travel will have plenty of time to apply for a passport. Listen to exactly what you need, exactly when you need it! 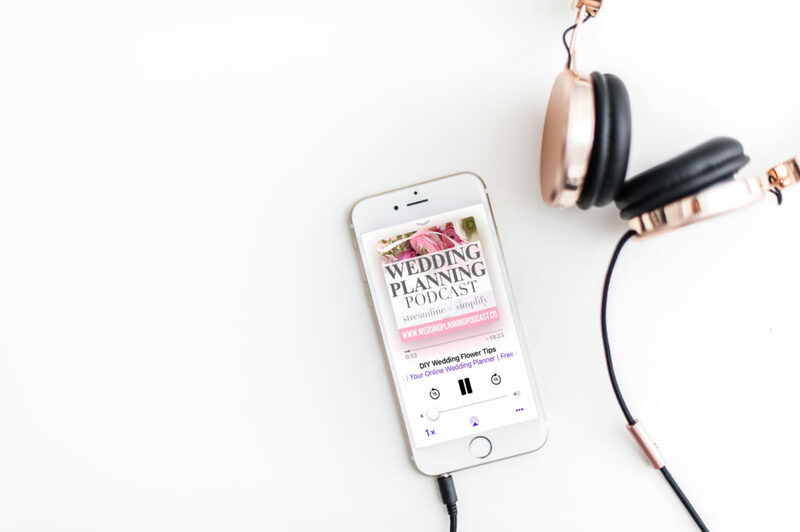 Sign up for THE VAULT to enjoy unlimited access to over 75 archived shows of the Wedding Planning Podcast. Hands-free & eyes-free wedding advice, anywhere your busy life takes you!